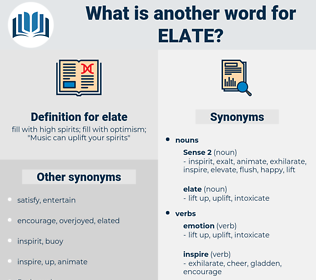 What is another word for elate? fill with high spirits; fill with optimism; " Music can uplift your spirits"
cast down, distress, sadden, get down, dismay, dishearten, demoralize, dispirit, oppress, deject, demoralise. 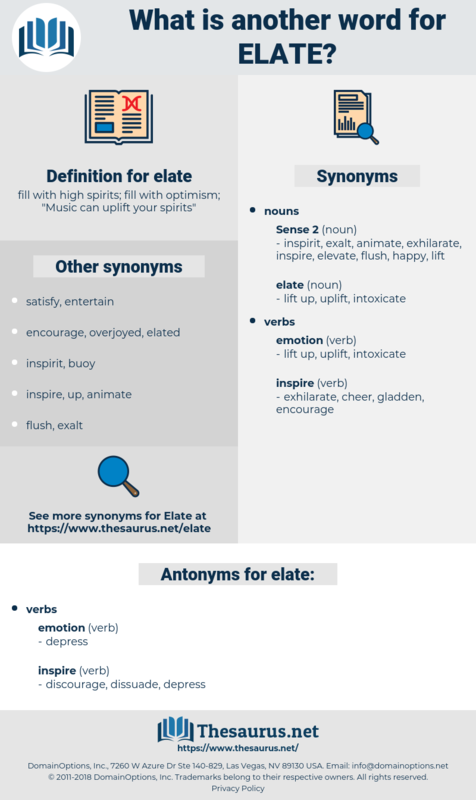 elide, eld, eluate, eliot, eyelet, elated, elite, eolith, elodea, elude, eyelid, elute. exalt, tickle pink, inebriate, puff, thrill, exhilarate, beatify. shake, excite, stimulate, stir, shake up.